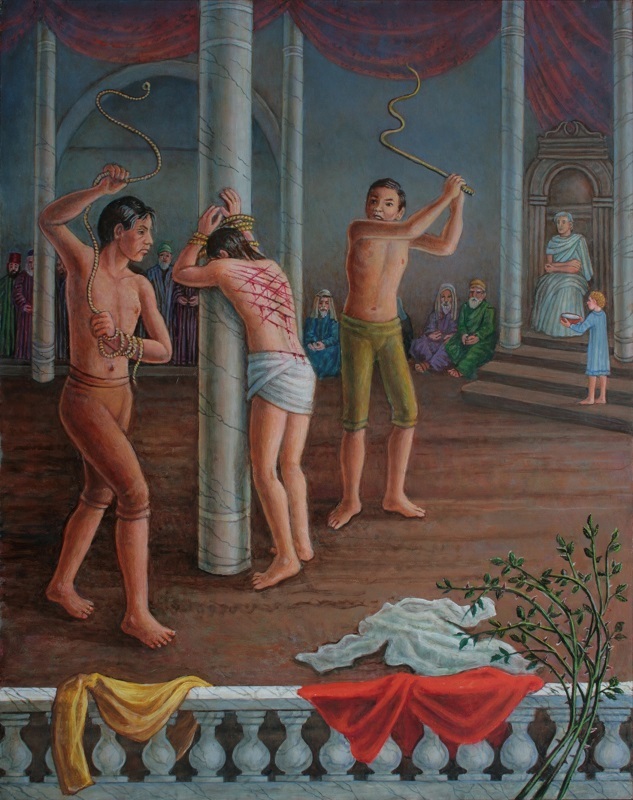 This painting portrays Christ being beaten by Pilate’s men. Pilate had hoped that by having Christ scourged, he would appease the anger of the Pharisees, and then Pilate would be able to liberate him. He watches regretfully, while his serving boy comes to him with the water ready so he can wash his hands of the whole problem. Behind are the Pharisees and other high priests, who have no intention of letting Christ go.